You know what didn’t exist until now? 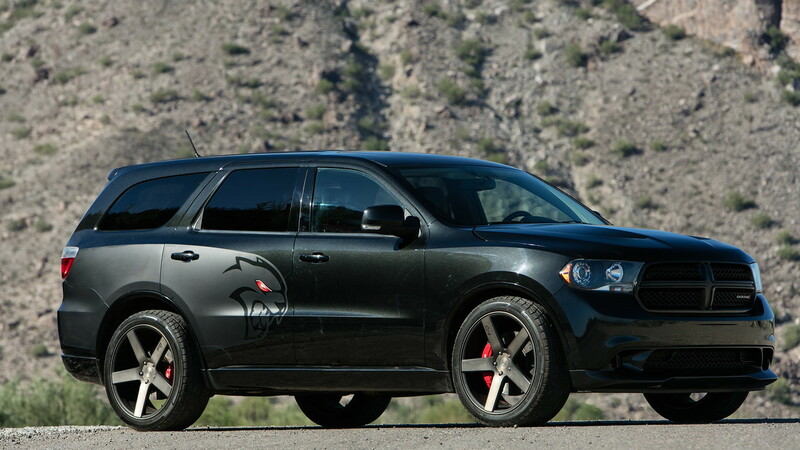 A Dodge Durango Hellcat. Add some motivation and mechanical knowledge—a lot of elbow grease—and let's make tire-shredding history. A 2012 Dodge Durango R/T owner wanted to get her husband a gift, so she called Plum Floored Creations near Phoenix, a custom Mopar shop, to create what Dodge wouldn't sell her husband: a Dodge Durango Hellcat. While the donor Durango is the current-generation model, it was built before the 2014 refresh and had the older 5-speed automatic transmission and older ECU setup. This made turning this Durango into a Hellcat far more of a challenge than dropping in a Hellcat motor and reprogramming a bunch of computers. Plum Floored Creations dropped a 6.2-liter supercharged V-8 Hellcat motor into the Durango, but swapped out the stock 2.3-liter supercharger pushing 11.6 pounds of boost for a larger, 2.9-liter unit from Whipple pushing 11 pounds of boost. The pre-2014 model year ECU couldn’t run the electronic blow-off valve utilized on the Hellcat, but the larger Whipple supercharger allowed Plum Floored Creations to retain the Durango's stock ECU. To accept the larger supercharger, the 356-T6 alloy 6.2-liter heads were CNC machined. The stock exhaust was replaced by a custom fabricated 3-inch setup all the way back with dual 5-inch tips exiting the rear bumper. For those keeping track, stock Hellcats have 2.75-inch exhaust pipes all the way back, which means this Durango's custom system is a smidge larger, and thus produces a different battle cry. To handle the power, the stock transmission was replaced by an 6-speed ATS Stage 3 unit with a billet input shaft, billet torque converter, and one-piece one-off aluminum drive shaft. Power is still sent to all four wheels through the factory all-wheel-drive system. Plum Floored Creations tells Motor Authority the stock all-wheel-drive system didn't need bolstering due to the gearing in the Durango. The launch is less harsh and less violent than a Trackhawk, which puts far less strain on the system. 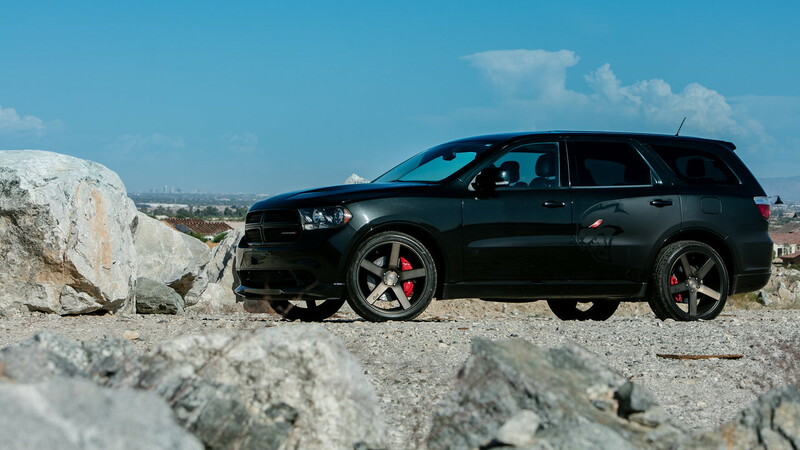 There's no launch control, and the gearing allows the Durango to make its 1-2 shift just shy of 60 mph at 6,000 rpm. The brake system was upgraded with Brembo 6-piston calipers clamping down drilled and slotted 15.0-inch rotors up front, and 4-piston calipers clamping down on 13.8-inch drilled and slotted rotors in back. The stock wheels didn't clear the 6-piston Brembo calipers up front, so a set of 22x10 aluminum wheels fill the wells wrapped in 285/40 tires at all four corners. 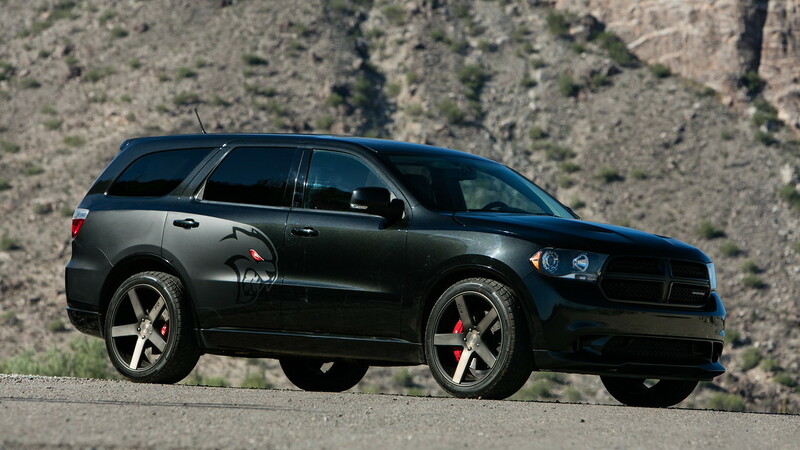 To match the newfound power, the Durango was given a visual overhaul. The hood is now an SRT-inspired piece with functional heat extractors. FX Graphixs designed a graphic inspired by Mopar's heritage billboard with the Hellcat logo featuring a red eye for the side of the Durango Hellcat. Inside the seats are covered in black leather and red cloth, and each seat features the Hellcat logo. It wouldn't be a Hellcat without a ridiculous amount of power, right? 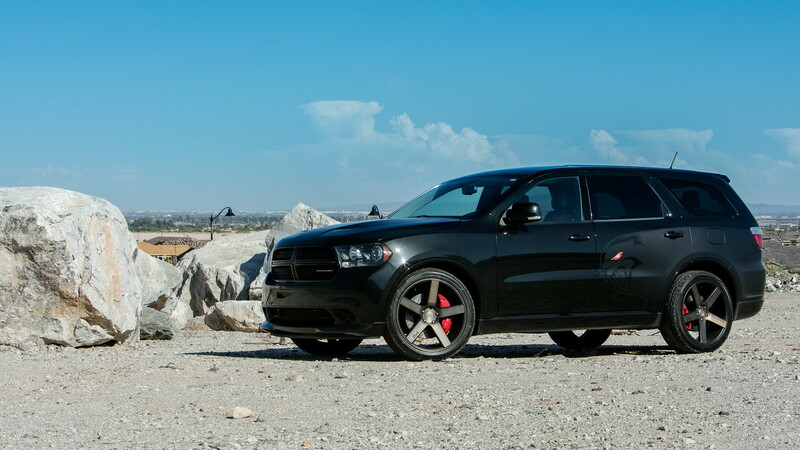 After all those modifications, the Durango Hellcat put out 698 horsepower at the crank and 570 horsepower at the wheels on the dyno. Plum Floored Creations says the entire setup can be replicated, both on a 2010-2013 Durango, and the newer, facelifted 2014-2018 Durangos (which wouldn't require swapping the stock Hellcat supercharger due to the new ECU, and would make more power due to the more efficient 8-speed transmission). The cost? 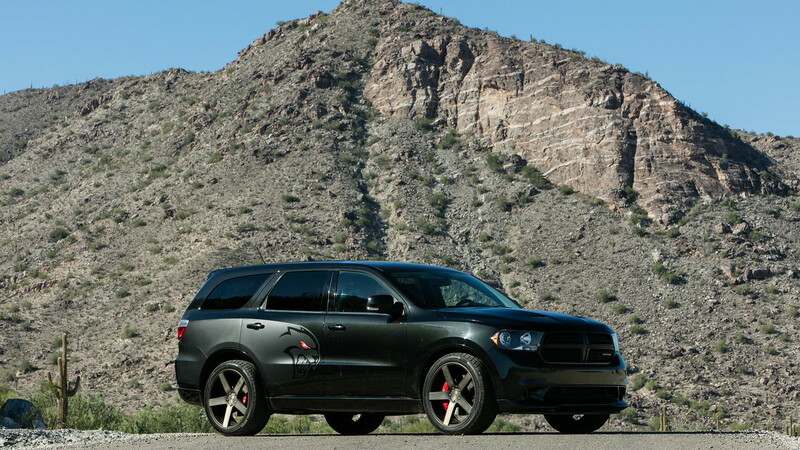 Approximately $40,000 plus the donor Hemi-powered Durango for just the performance upgrades. From there, it just depends on what kind of visual upgrades you want. FCA may or may not be done Hellcating things, but now at least there's a way to get a Durango Hellcat to haul the neighborhood kids to soccer practice.